In line with the European Strategy 2020 and believing that Culture can be a major source of jobs and growth, Let’s Dance aims to reinforce European artists’ capacity to act and interact in this global scene fostering innovation in the artistic, training and communication field. To promote professionalization and expansion of employment opportunities for young artists, offering a complete training program that will combine artistic and professional development. To develop an artistic project combining the Tanz-Theatre methods with that of Community Dance that will reflect on Migration and its impacts on European citizens, creating an original co-production that will improve young artists’ transnational capacities. To foster innovation through an intensive use of ICT for training purposes, dissemination activities and learning and communication materials, facilitating access to cultural experiences. To encourage young artists’ mobility through exchanges between European cultural institutions, facilitating their access to European artistic markets. 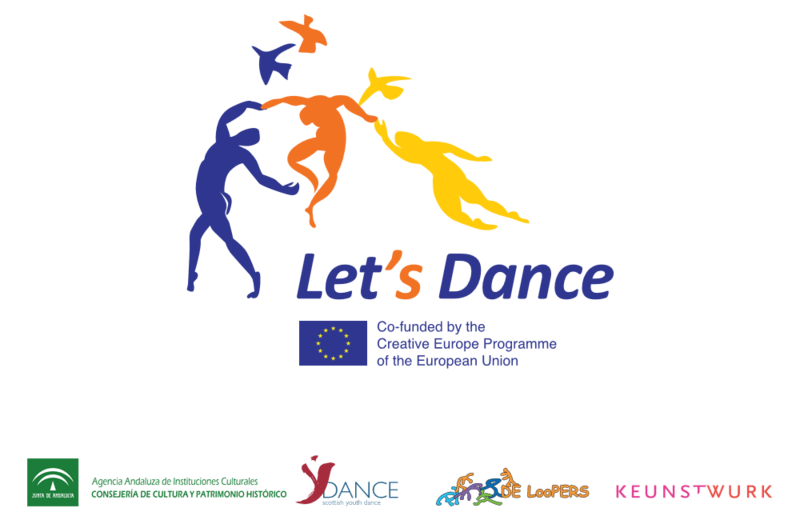 To promote greater inclusion of European citizens in cultural events, through the organization of participative Community Dance-Theatre performances and exhibitions, fostering audience engagement as part of the creative process. To provide a socially inclusive program that will foster the community participation and artistic expression of differently-able people, and facilitate high quality accessible dance-theatre experiences for all. To develop an audience education and participation program that will take community dance-theatre methods into Secondary Schools in different European countries, raising awareness of the opportunities available for young people to be involved in community and youth dance and theatre. AGENCIA ANDALUZA DE INSTITUCIONES CULTURALES is a public entity, attached to the Council of Culture of the Andalusia Government, established in 1991 for the implementation of cultural policies. In 2003, Wilfried van Poppel founded DE LooPERS dance theater for young audiences (children and adolescents), with the aim to bring young people, as well as a spectator and as a dancer, in contact with the dance on an artistic level. DE LooPERS creates dance - movement theater productions with professional dancers for a young audience. Keunstwurk works for a large number of target groups: pupils in primary and secondary education, institutions providing vocational education in fine arts (in different levels), (talented) youth and adults, artists, teachers in the different art-disciplines, cultural and social institutions and governments. YDance is the national dance organisation for young people aged 3 to 21 in Scotland, our mission is to work through key partnerships in education, culture, health and sport, to provide high quality dance experiences for all children and young people in Scotland.